Hello everyone, Today I am reviewing Good Vibes Honey Moisturizing Facewash. Recently I am sharing my purple haul on Instagram and I bought this face wash at that time to try out. In winter I have very dry skin and moisturizing face wash well for winter dry skin. 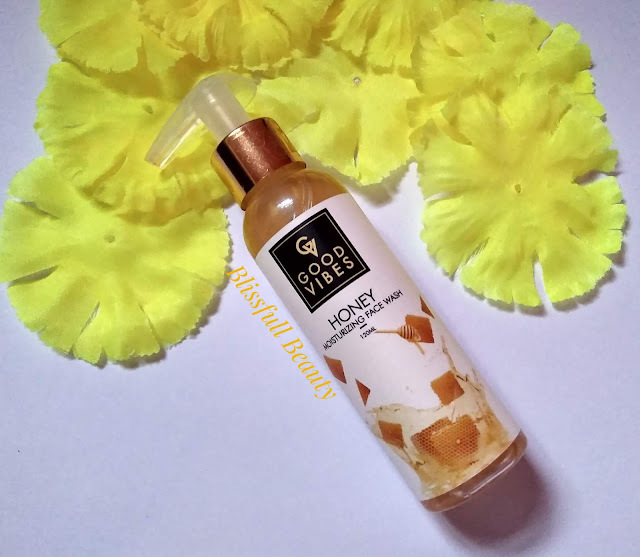 So let's get into this post to know more about this face wash.
Good Vibes Honey Moisturizing Facewash comes with transparent bottle secured with pump packaging. The pump dispenser has a locking system which is best and not to worry about leakage. 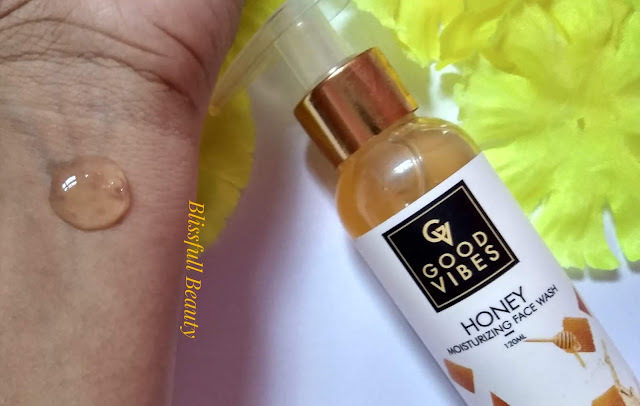 Good Vibes Honey Moisturizing Facewash has light yellow color gel consistency exactly like honey and has some mild fragrance. The main key ingredient is honey. Honey has anti-inflammatory & antibacterial compounds, honey lightens scars and increases healing of the skin. Pump out fruity goodness in your gentle palms. Lather it up with water and steadily and smoothly massage it on your gorgeous face. Rinse it away with water. Not works well on dry skin. In winter my skin becomes very dry so I thought I should try moisturizing face wash. Recently I got to know about this facewash and it claims it is good for dry skin. So I wanted to try out whether it works or not. The face wash has gel consistency when I wash my face with this face wash it should take time to rinse my face. After facewash, my skin feels clear but also feel dryness. It didn't reduce my dryness as it is mentioned for dry skin. I am not satisfied with this product. 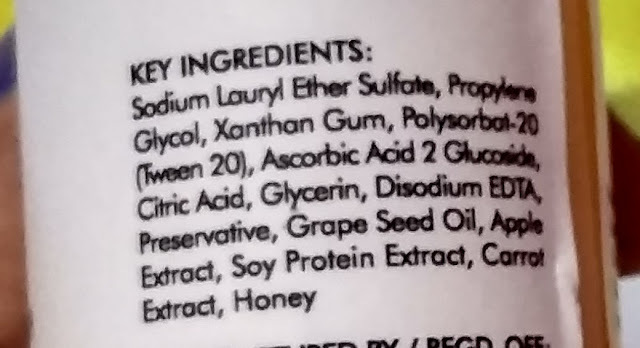 when I check their ingredients list I saw there is sulfate available which is big cons of this product. As it contains natural ingredients and claims also natural products but contains sulfate.Honestly speaking I am not satisfied with this product and I will not buy this face wash it did not work for me well. 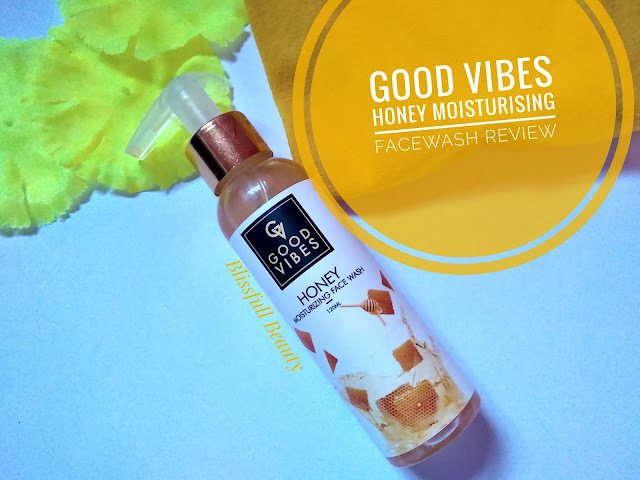 If you have already tried this facewash then let me know your experience in the comment section below.